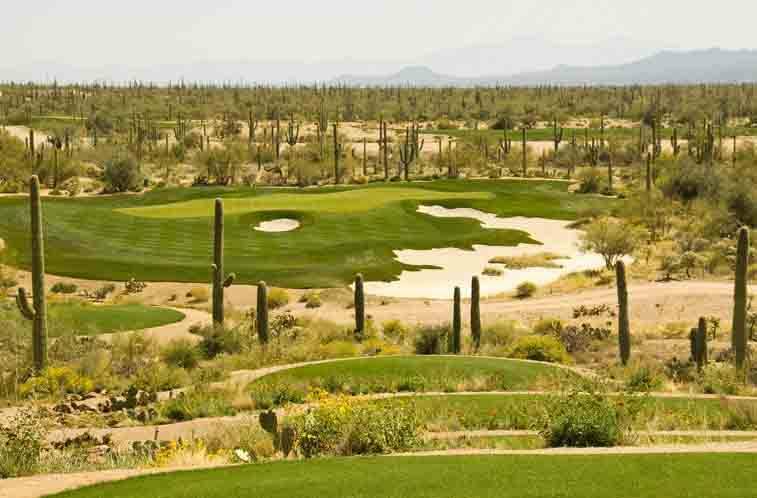 Dove Mountain Golf Course is an 18 hole Jack Nicklaus Signature Course. TCC performed as the general contractor for all earthwork. The project included a large drainage channel which was excavated and lined with soil cement, grouted and non-grouted riprap, concrete cut-off walls, and a small amount of shotcrete. The original design called for a concrete lined channel, however TCC proposed a value engineering alternate to the owner, which replaced the 6" thick concrete channel with 48" thick soil cement. Not only did this alternate provide a substantial cost savings, but it cut the construction schedule by two months. Our client was so impressed with our workmanship, professionalism and value engineering alternatives that they negotiated a second contract to construct an additional nine holes for Ritz Carlton at Dove Mountain. This additional project included an extension of the drainage channel. 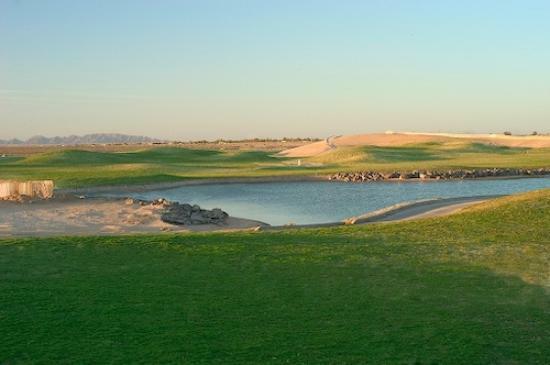 TCC built an award winning 19 hole target golf course that included 4 lakes lined with SS-13 on Sandy Beach in Rocky Point, Mexico. This project was awarded ‘2007 Development of the Year’ by Golf Inc. Magazine.